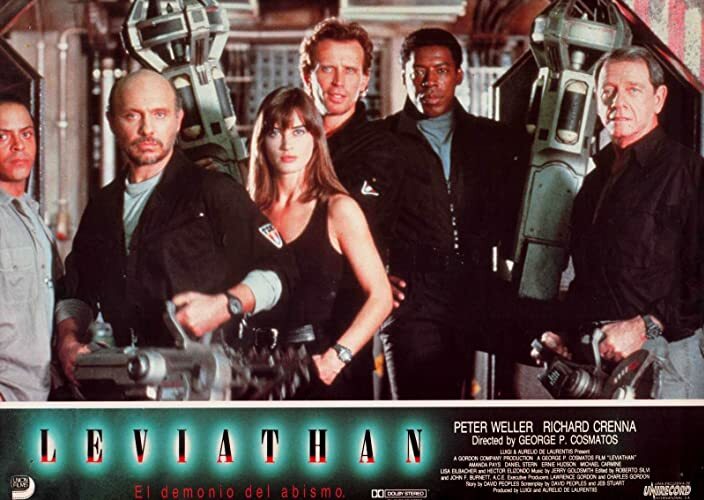 Frank and Kyle join teams to talk about one of their favorite, and underappreciated films from the 80s, George P. Cosmatos’ LEVIATHAN starring Peter Weller, Richard Crenna, Ernie Hudson, Daniel Stern, and Meg Foster. While this film does borrow heavily from THE THING and ALIEN, it’s much more than just a rip-off hybrid that stands on its own with strong performances, excellent production design, and value, and remarkable creature effects and a brooding score. Pick up the Shout Factory blu ray here.